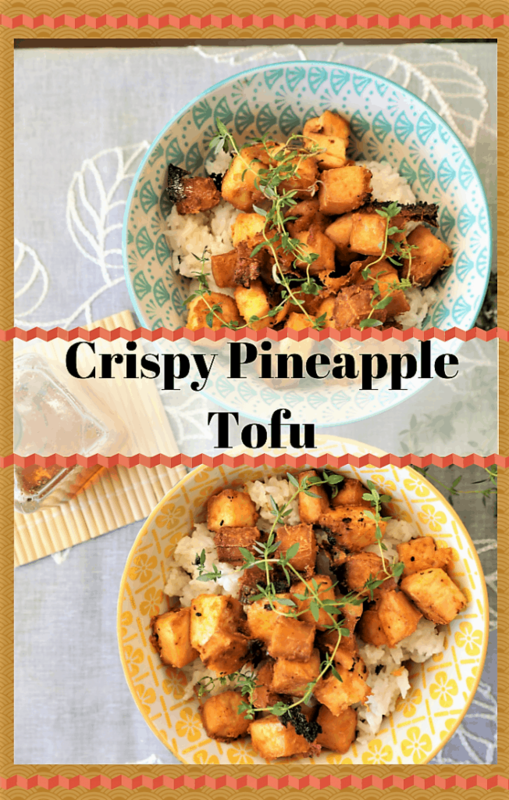 Crispy Pineapple Tofu. 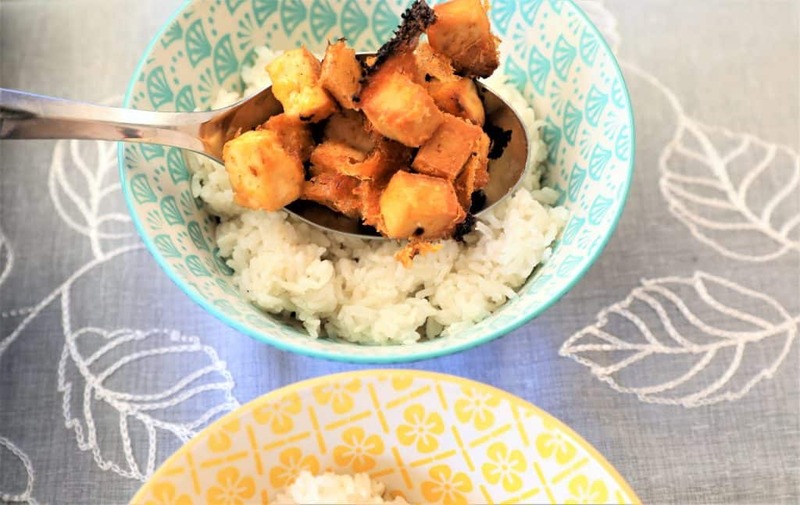 This baked tofu with spicy pineapple marinade is actually great on a bed or rice, noodles or as a yummy appetizer. 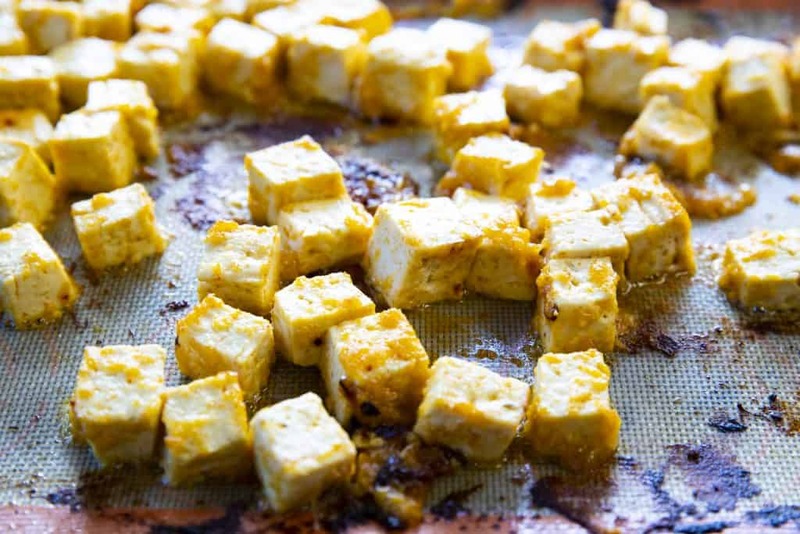 So simple, toss all marinade ingredients into the blender, drizzle on the tofu and bake. It is that easy. 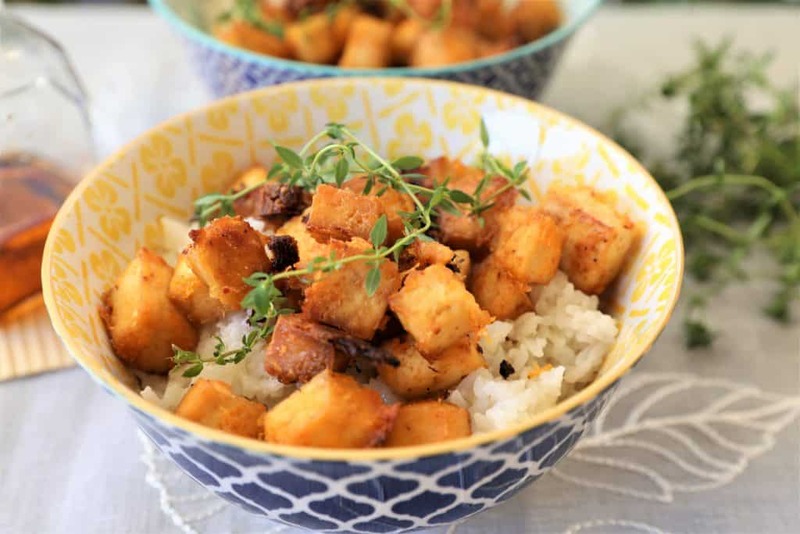 I try to find creative ways to make dishes with tofu, because it is so versatile and nutritious, and a great protein source for vegan and vegetarian diets. 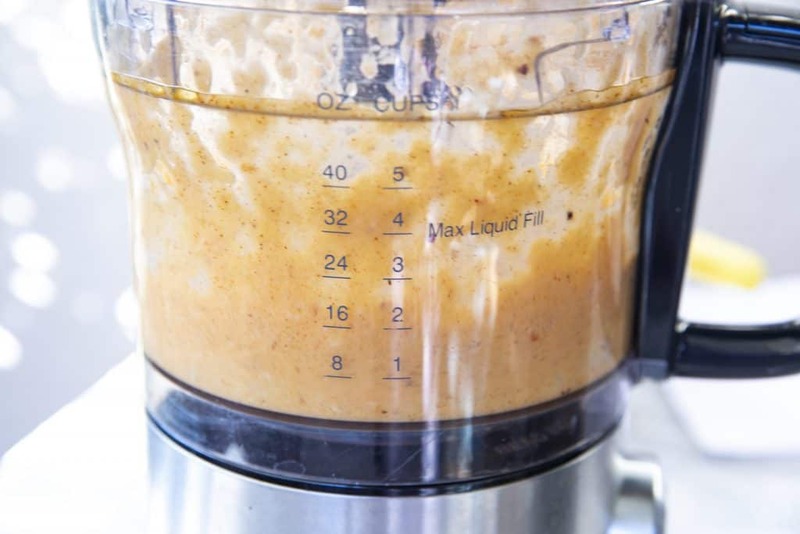 I use tofu in un-meatballs, smoothies, stir-fry dishes, breakfast scrambles, tacos and bowls. 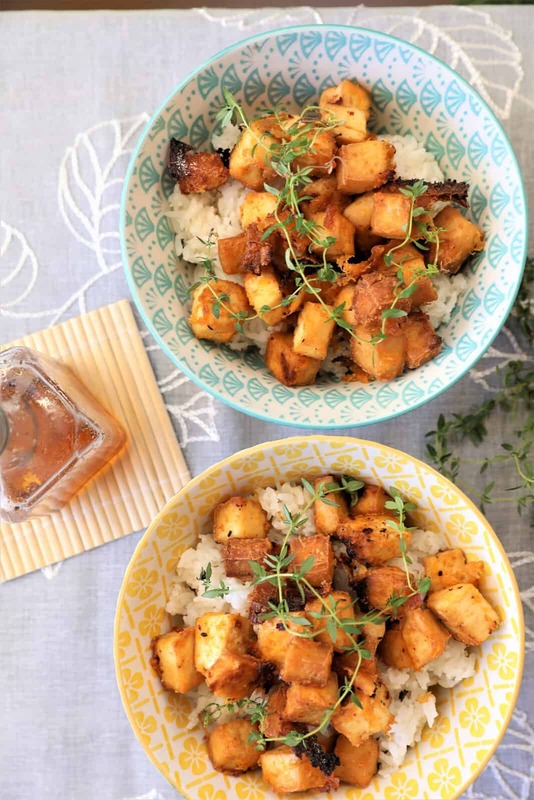 Essentially, tofu is one of those foods that has a neutral flavor which gives you options, but it definitely requires herbs and spices to give it taste. 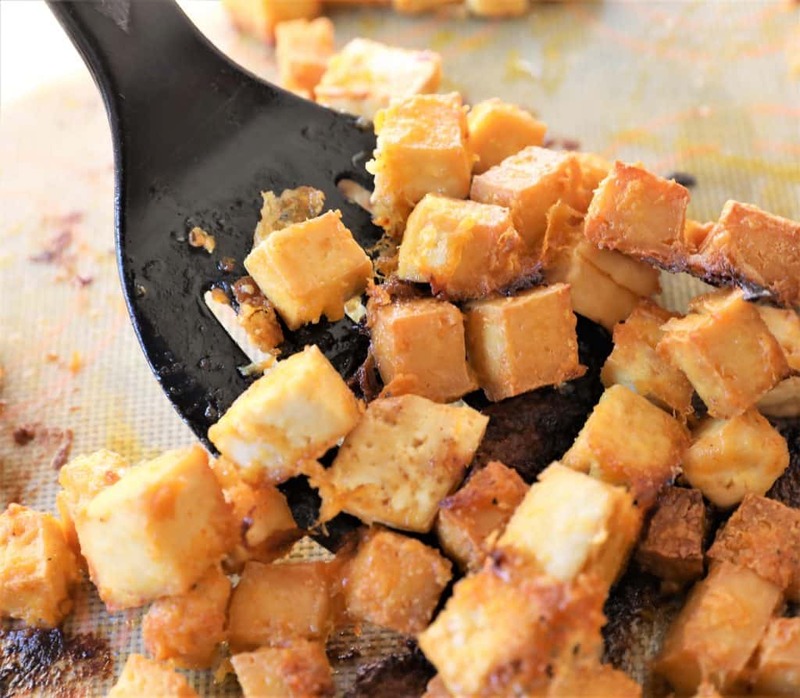 The texture is soft and mushy, so if you can have a dish that makes the tofu crispy, I think that is tofu at it’s best. 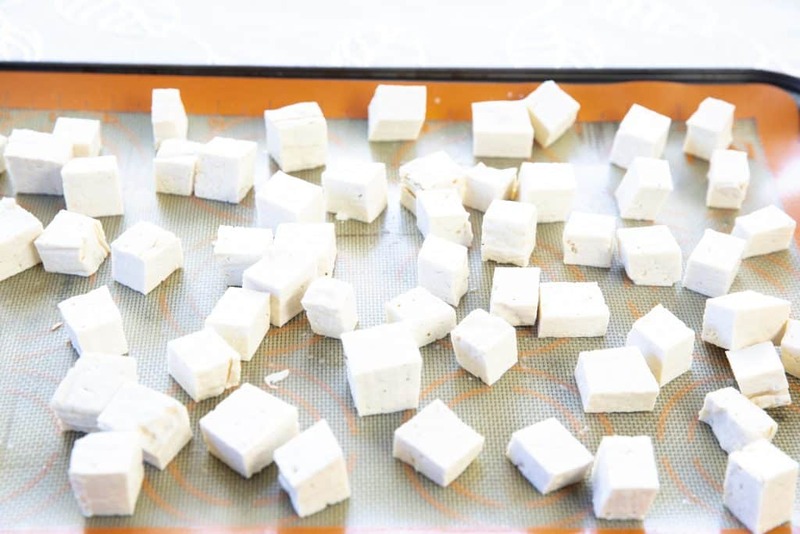 The dietary advantages of tofu are many. 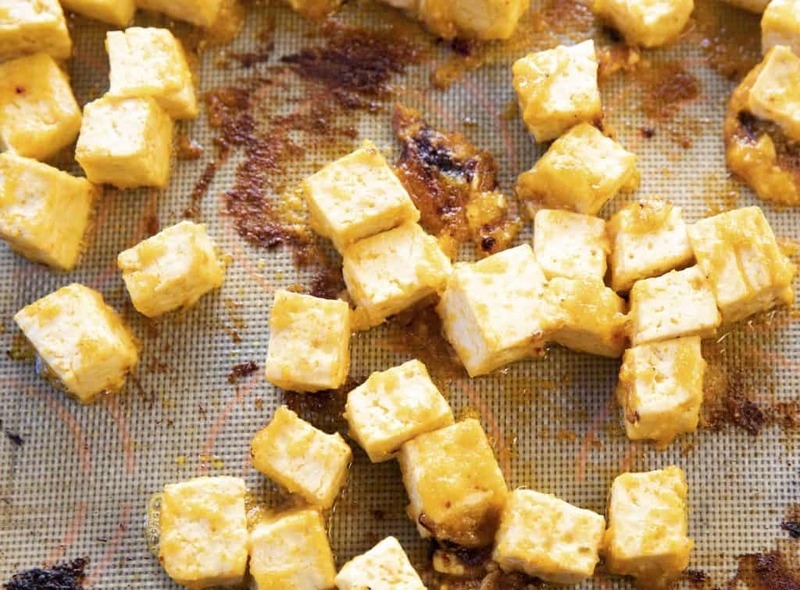 Low in calories, tofu has 10 grams of protein in a 1/2 cup serving. 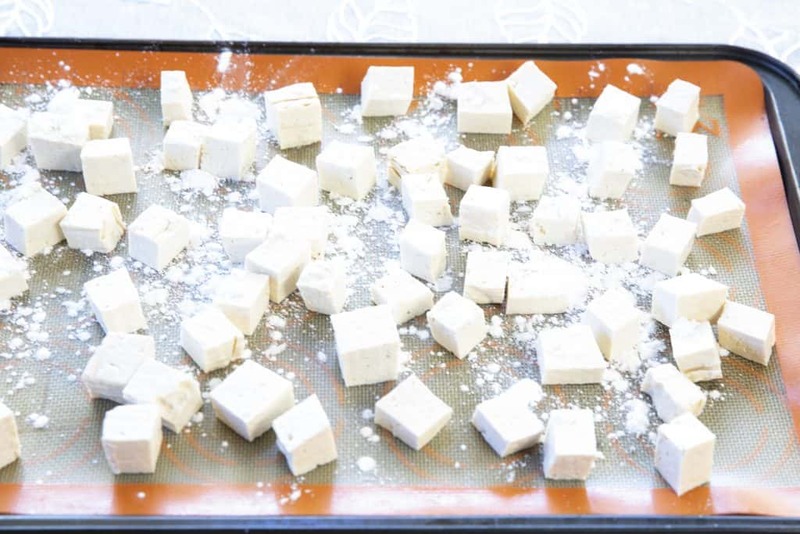 Tofu is an excellent source of protein for vegan or vegetarian diets, because it is a complete protein, meaning that it contains 9 essential amino acids that the body needs to thrive. 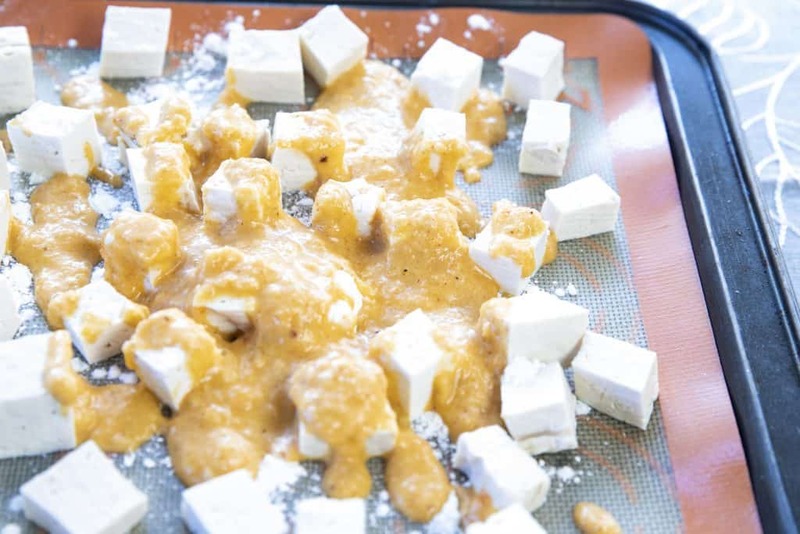 This dish is quick and easy, requires fewer than 10 ingredients, and 30 minutes to bake. It is so simple, that the kids can make it. I started the preparation by making white rice in the Instant Pot. 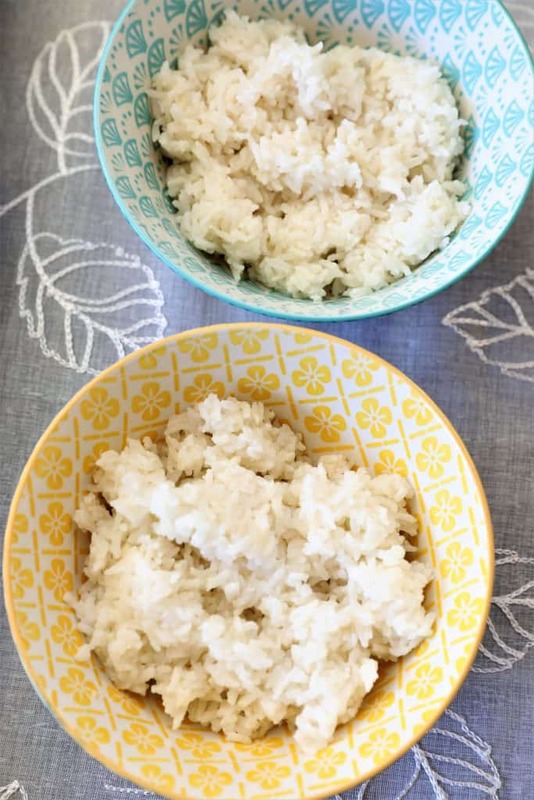 Rice is one of the easiest foods to make in the Instant Pot, and it is perfectly fluffy every time. 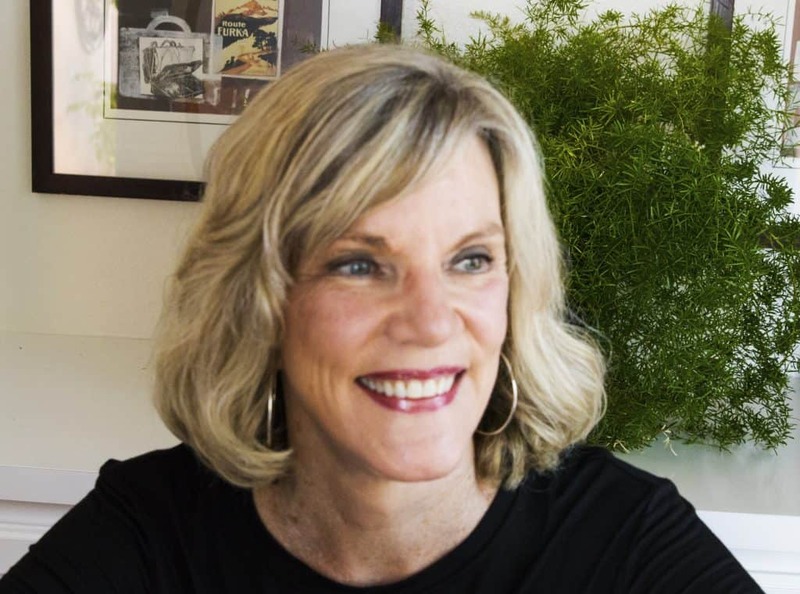 (No Instant Pot? Cook according to package directions). 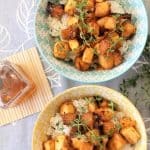 While your rice is cooking, blend the marinade and bake the tofu, and that is it. These bites are addictive! 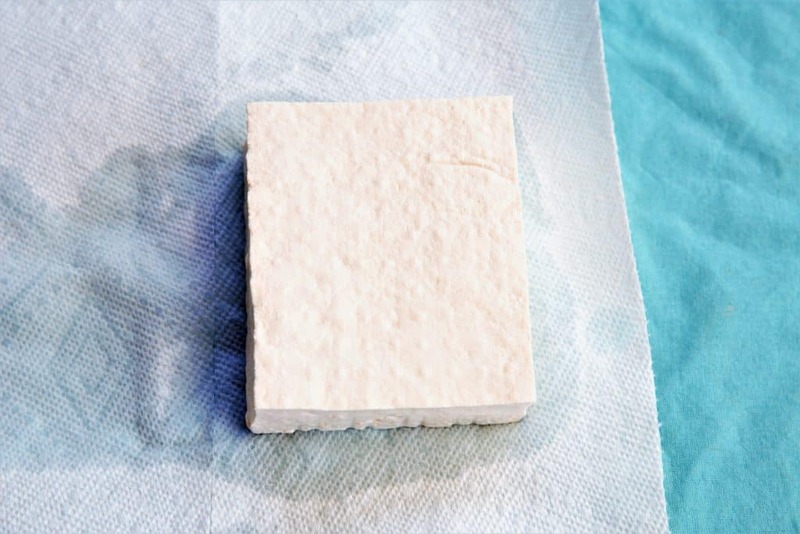 Drain liquid by placing tofu on paper towel. 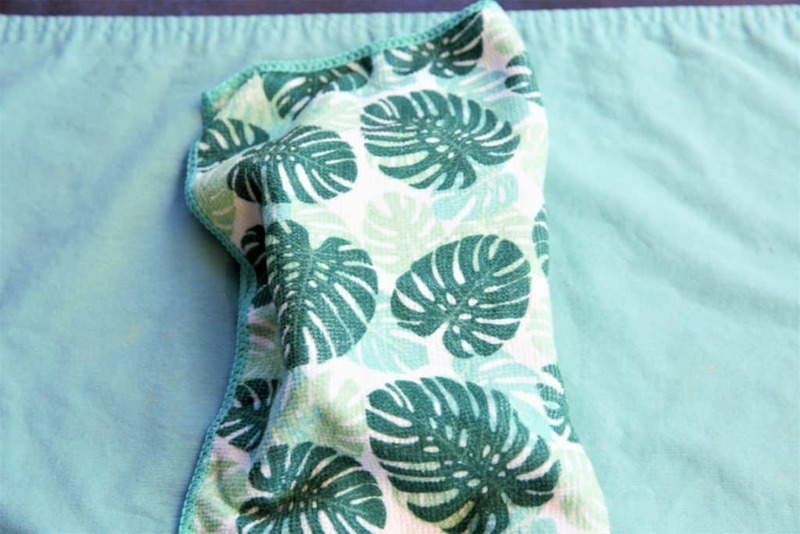 Wrap tofu in clean towel. 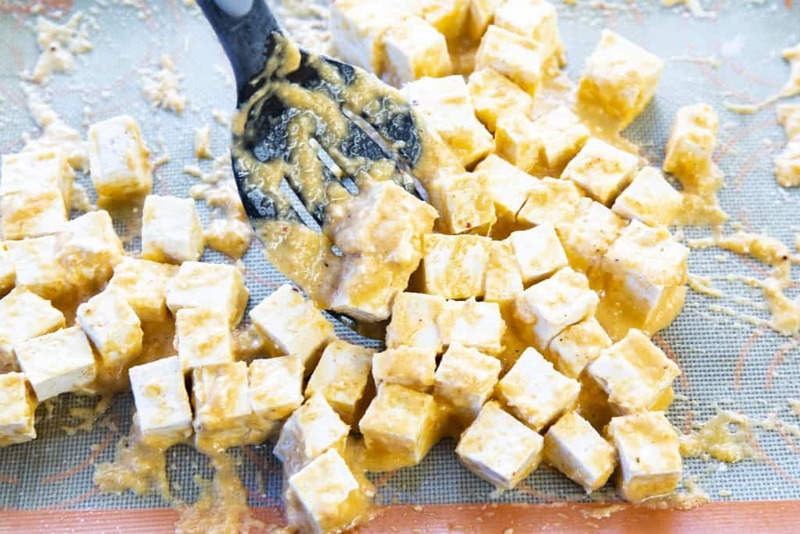 Press tofu to remove liquid . 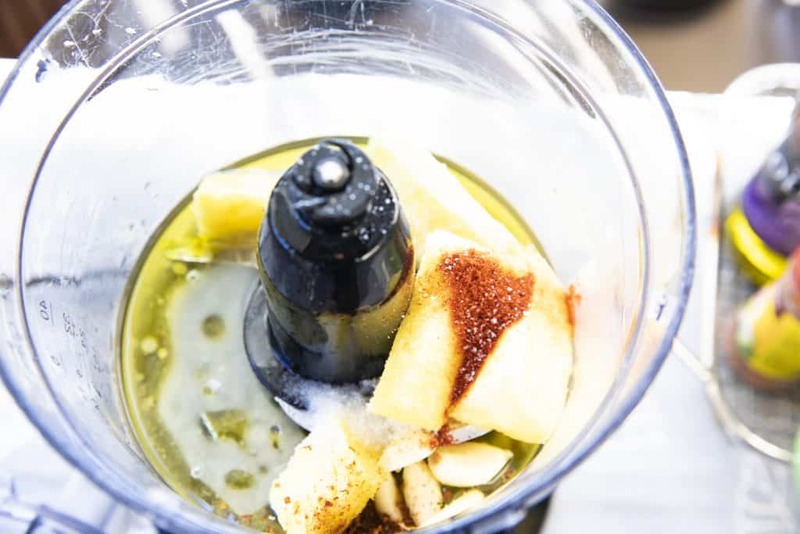 Drizzle the creamy pineapple marinade on the tofu, bake and you have a delicious, crispy main dish that you can serve with rice or noodles. Vegan, gluten free and dairy free.